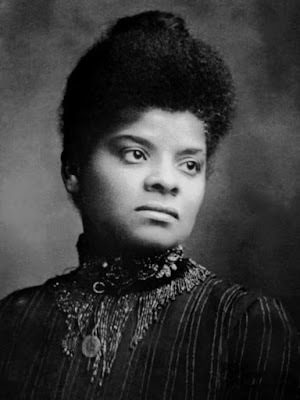 Ida B. Wells-Barnett, born in 1862, was an activist, teacher, and writer who, despite death threats and the destruction of her self-built newspaper, never stopped demanding an end to racial injustice. She was one of the leading voices in exposing the terrorism that white people inflicted on Black families through lynching, threats, and Jim Crow laws. After returning to the U.S., she helped organize the National Association of Colored Women, and was one of two women who helped found the NAACP. She died in Chicago in 1931. Ida B. Wells-Barnett contributed greatly to the future civil rights movement, to the end of Jim Crow laws, and to the movement to end lynching. Yet Black families continue today to experience threats, struggle, and violence—whether state-sanctioned or from individuals. Modern voices that echo Ida B. Wells-Barnett are critical. Women who have made history influence women who will make history, and Ida is surely no exception. I encourage you to read from Echoing Ida's ever-growing body of work, and support the women who are continuing Ida's legacy of justice. As Advocacy Director for Legal Voice, Sara Ainsworth is committed to reproductive and racial justice, and to honoring and following the leadership of people of color. She is a huge fan of the Idas and jumped at this chance to promote their work. Photo of Ida B. Wells-Barnett from Wikimedia Commons.